Reading for pleasure is more important to children's cognitive development than their parents' level of education and is a more powerful factor in life achievement than socio-economic background.1 Chatterbooks reading clubs help children build a lifelong reading habit. Because everything changes when we read. Chatterbooks started in 2001 and is now the UK's largest network of children's reading groups. We estimate that almost 9,000 children belong to Chatterbooks groups, which are run in libraries and schools to generate discussion and encourage children to enjoy reading. The groups are run by librarians, teachers, teaching assistants, or volunteers - anyone with a passion for reading. Chatterbooks is a flexible model that can be used with children from 4 up to 12, for all different abilities and in targeted or mixed groups. For free resources and to sign up to the Chatterbooks network, go to chatterbooks.org.uk. You need a meeting space, a session plan, and books for the children to borrow. We offer free downloadable activity packs each month, full of ideas to use in Chatterbooks sessions, plus recommended book lists on different themes. Each session should last a minimum of 40 minutes (many Chatterbooks clubs meet for 1 to 1.5 hours). You could follow our suggested session outline. There are typically 10 to 15 children in a Chatterbooks club. In a library setting, Chatterbooks reading clubs often meet monthly. In a school setting, the clubs meet weekly or fortnightly. Schools' starter packs - ten children's welcome packs plus a group leader's toolkit - £65. Buy a Chatterbooks group leader's toolkit, or invest in a training day for staff. Sign up to the Chatterbooks network: get the newsletter, share tips and ideas, find out about new children's books and publisher offers. If you're a school club contact your local library and School Library Service and plan what you can do together. Make sure you have a mix of activities available for each meeting (look out for our monthly themed activity packs and publisher promotions). Ask the children what they want to read and talk about - Chatterbooks is their club! "I've always been a total bookworm and practically lived in my local library when I was a child. I wish I'd been able to join a Chatterbooks reading group then. It would have been such fun to make new friends and discuss all our favourite books. Lots of members write to me and send me their stories and drawings and book reviews - they obviously love being part of a Chatterbooks group." Reading for pleasure is more important to a child's educational achievement than their family's wealth or social class. Find out all you need to know about how to run the Summer Reading Challenge. 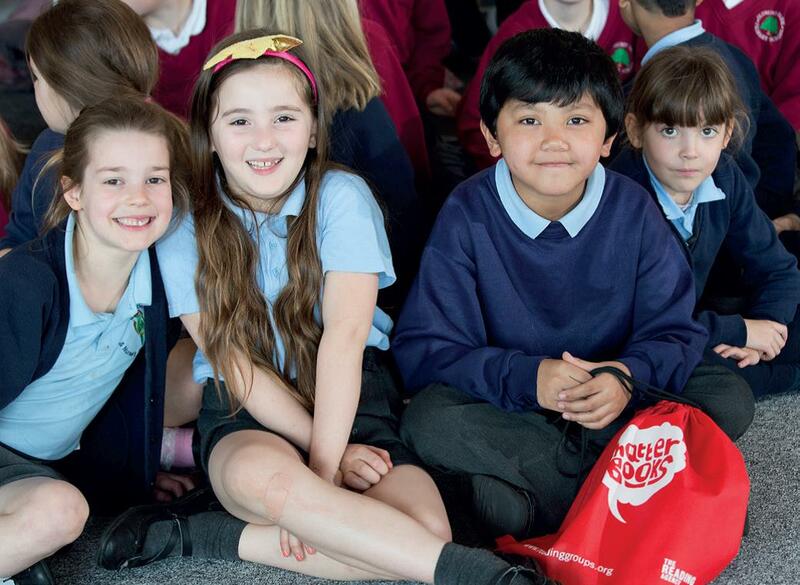 Find out how schools can get involved and benefit from the Summer Reading Challenge.